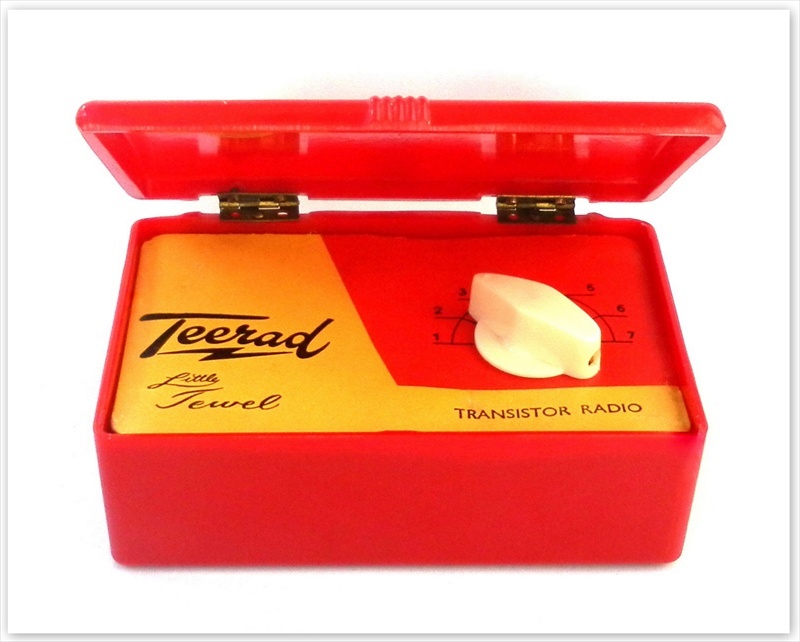 This intriguing one transistor radio was made in New Zealand by Tee Vee Radio Ltd circa 1958/59. 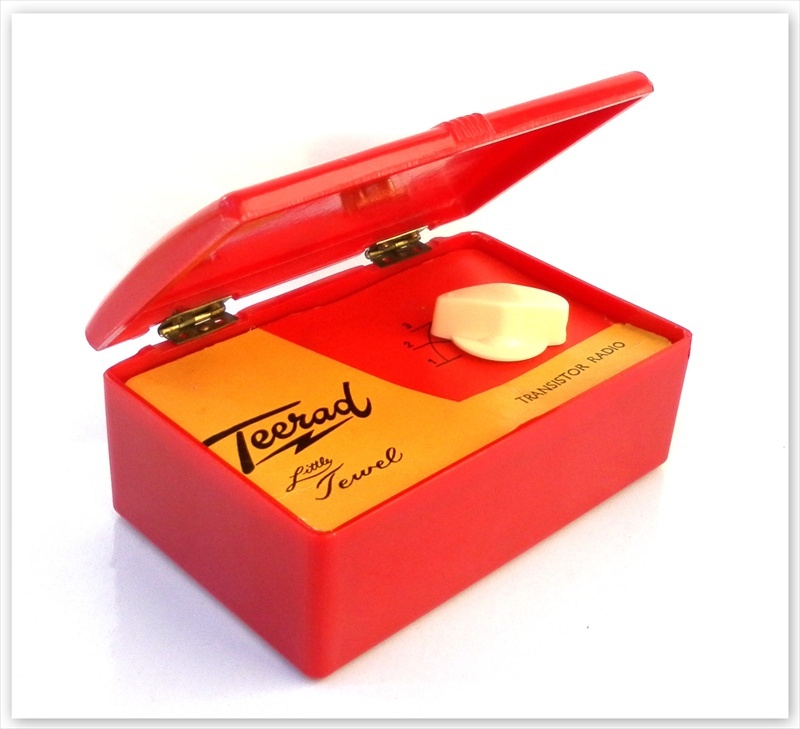 It is a Teerad Little Jewel and I have never seen another. The Little Jewel was sold locally and marketed to a small population of just 2,300,000, therefore it is very unlikely that it had a huge production run, hence its scarcity. It is essentially a battery operated crystal set driving a one transistor amplifier. 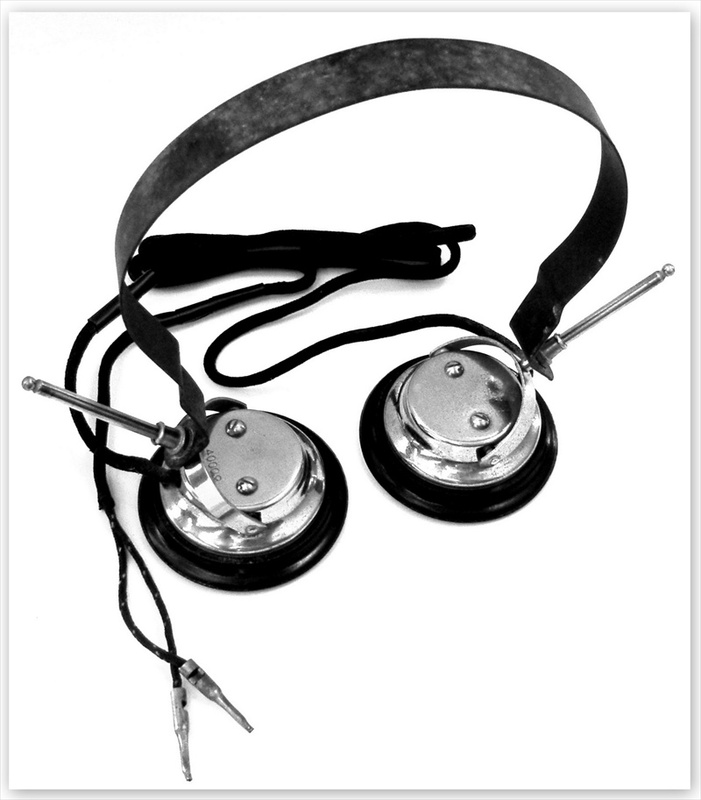 It uses antique style headphones that may be military surplus. It has a metal chassis housed in a simple, hinged plastic cabinet. 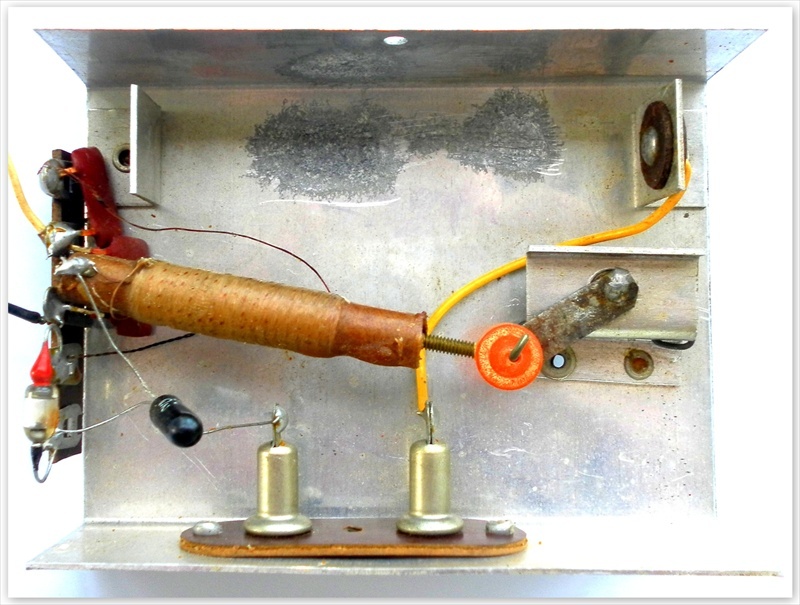 The 'face' of the radio is a cardboard cutout held in place by the tuning dial and glue. It probably acquired its name due to its resemblance to little jewellery music boxes, the kind that play when the the magic lid is lifted. 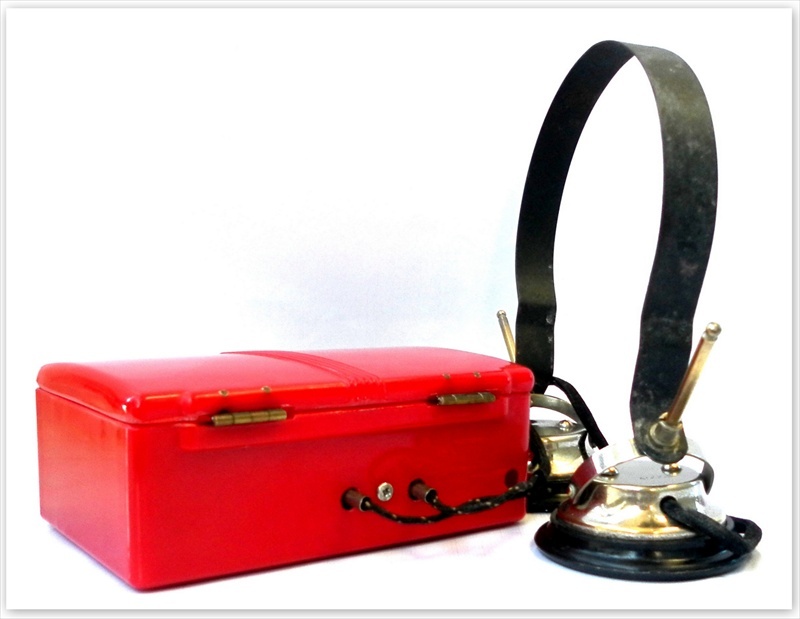 It also bears a likeness to earlier lunchbox style tube radios. It measures 4.9 x 2.7 x 1.77 inches. There is a sticker under the lid of the radio that reads 59/6. This is quite possibly the date of manufacture or it could be a sales sticker. Tee Vee Radio Ltd had its origins in S.O.S Radio, a radio and hobbyist parts retailer located on Queen Street in Auckland. S.O.S Radio were trading in the 1940's and in 1954 the company changed its name to Tee Vee Radio Ltd (1a). 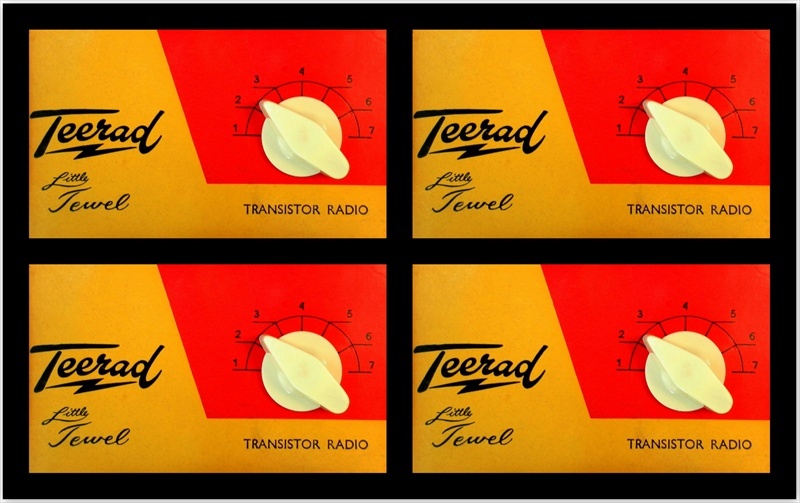 In 1958 Tee Vee Radio Ltd registered the brand name 'Teerad' an acronym of TEE vee RADio (1b). 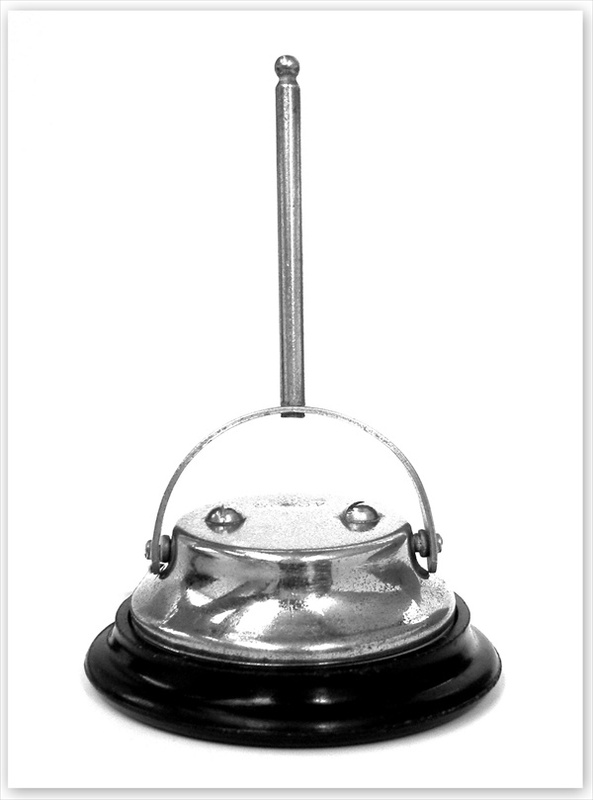 A little known fact regarding Tee Vee Radio Ltd is that in 1962 they took over manufacturing New Zealands most successful radio, the Bell Colt. The five tube Colt made its debut in 1951 and remained in production for the next 20 years! Tee Vee manufactured them for just two years and they were sold as Teerad Colts (1c). 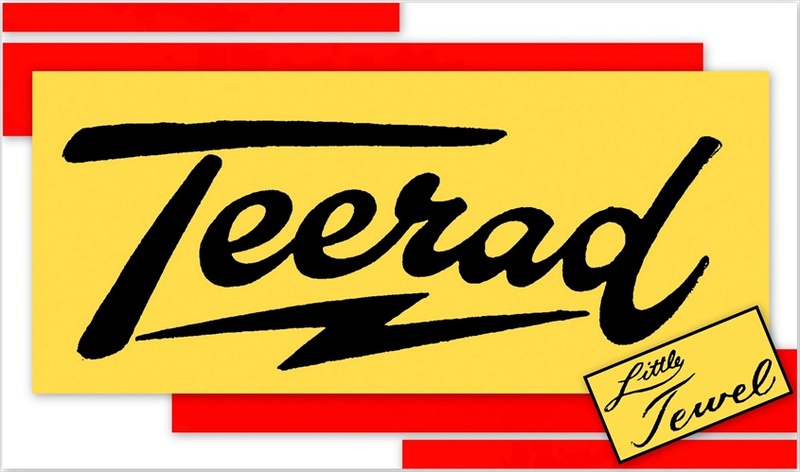 The Teerad name could also be found on re-branded Japanese tubes, battery chargers and a 'Starfighter' crystal radio in the shape of a jet plane. Tee Vee Radio Ltd had branches in Auckland, Christchurch, Wellington and Dunedin. It appears that their manufacturing arm was named Fountain MFG Co Ltd. In 1975 Tee Vee Radio Ltd changed its name to Fountain Corporation (1d). Fountain concentrated on manufacturing stereos, turntables, amplifiers and speakers etc until 1983 when the company became Chase Corporation. 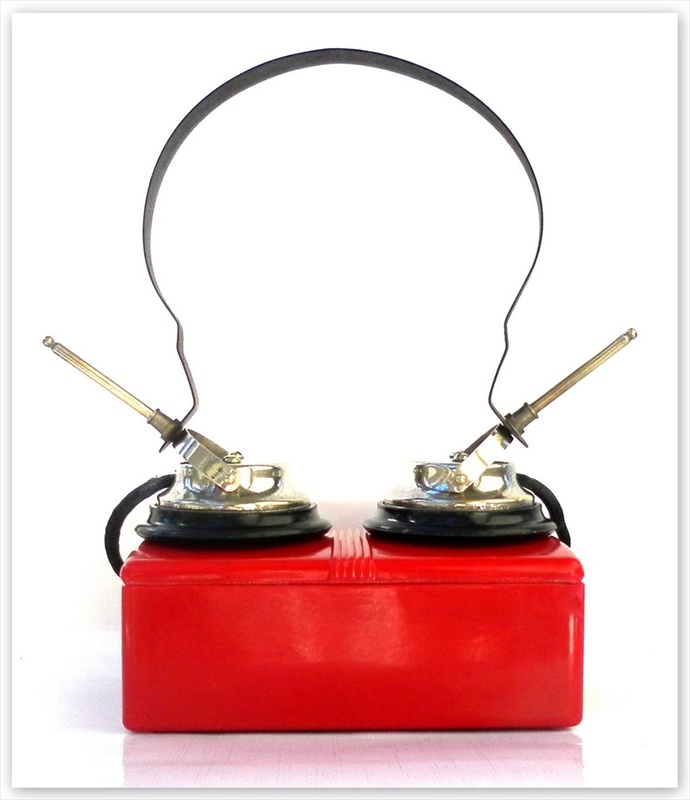 The headphones have 'pins' that slide into the two sockets located on the back of the radio. The circular cutout to the right is where the wires for the antenna and earth can be found. This Little Jewel has an all metal chassis with two wires that extend out the back of the radio, the white wire attaches to an antenna and the black wire is the earth. 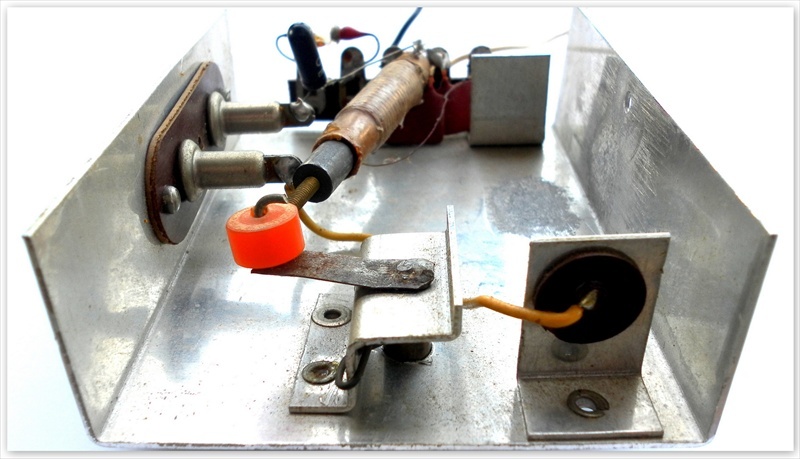 To access the chassis simply remove the single screw from the back of the radio and it should slide out. 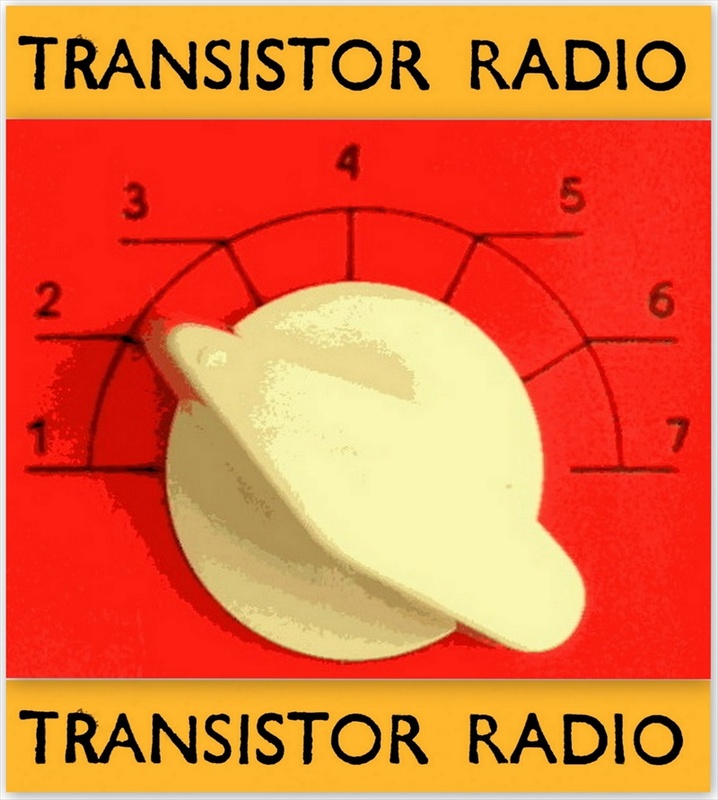 It uses a crystal detector (diode) to extract the audio signal from the radio waves and a transistor to amplify it. It is tuned by moving the iron core in and out of the brown tube. 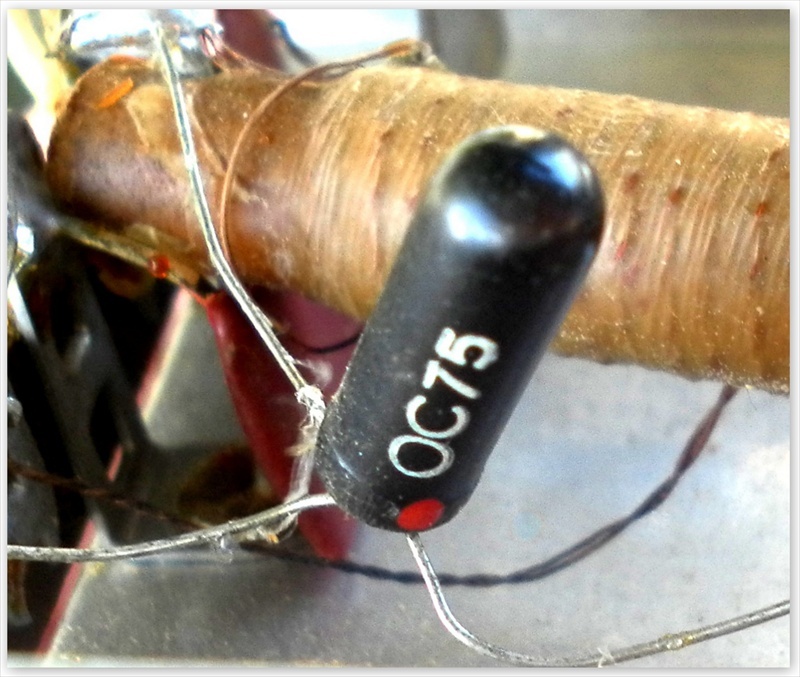 The OC75 transistor is a PNP germanium alloy type that was first used in 1957. The radio is powered by an obscure, long 1.5V battery. I tested it with a rigged AA battery and it worked quite well with surprising volume.